Autodesk and the Urban Arts Collective Launch Hip Hop Architecture Camps | Autodesk, Inc.
SAN FRANCISCO, June 12, 2017 /PRNewswire/ -- In an effort to inspire more students in underserved communities to consider design fields, the Urban Arts Collective, a non-profit focused on increasing the number of underrepresented groups in S.T.E.A.M. careers (science, technology, engineering, art and mathematics), and Autodesk, Inc. (NASDAQ:ADSK), the software provider for people who make things, are teaming up to host Hip Hop Architecture Camps in cities throughout the United States, including Los Angeles; Austin, Texas; Atlanta; Houston; Detroit and New York City. Additional locations are coming soon, including an after school program in the San Francisco Bay Area. The camps are free and open to middle and high school students ages 10-17 who are accepted through the application process. 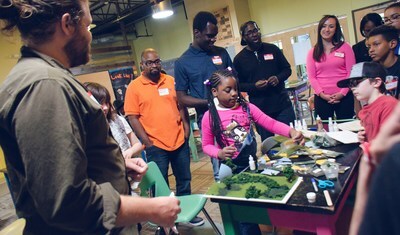 "We support programs like the Hip Hop Architecture Camps because they help create opportunity, access and the ability to influence one's reality for a new group of future designers, which benefits everyone in the long-run," said Daniel Guillory, head of diversity and inclusion, Autodesk. "Improving diversity and inclusion in design fields is not only good for creativity, productivity and financial performance, but it also helps maintain relevancy." The summer 2017 series of Hip Hop Architecture Camps officially kicks off today in Los Angeles, with other camps taking place through August. With the exception of a weekend pop-up in Houston, each camp is a one-week, intensive experience designed to introduce underrepresented youth to architecture, urban planning, creative place-making and economic development through the lens of hip hop culture. 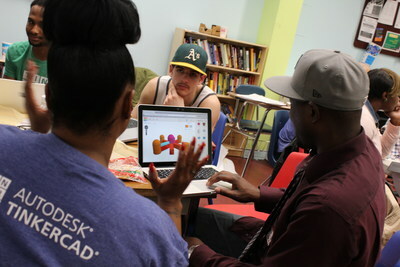 During the camp, students are paired with architects, urban planners, designers, community activists and hip hop artists to create unique visions for their communities, including designing digital models in AutodeskTinkercad and AutodeskSketchBook for Education. The camp closes with the creation of a Hip Hop Architecture track and music video summarizing the group's designs, similar to a recent video created by participants in Madison, Wis. With a nod to hip hop's roots as a storytelling method, the music video component of the camp is designed to help kids share perspective from and about their communities. A recent CareerBuilder study found that 21 percent of employers surveyed do not feel academic institutions are adequately preparing students for roles needed within their organizations. Further, only four percent of today's architects are African American, according to a recent National Council of Architectural Registration Boards report. To help fill the skills gap and effectively engage underrepresented youth, the Urban Arts Collective uses hip hop as a catalyst to explore S.T.E.A.M. disciplines. Designer Michael Ford, also known as "The Hip Hop Architect," is one of the co-founders of the Urban Arts Collective, and is leading the design of the upcoming Universal Hip Hop Museum, established alongside many hip hop pioneers including Kurtis Blow. The museum is also sponsoring the camps. "Hip Hop Architecture Camps both expose future generations to potential design careers and provide kids with the chance to think critically about what their communities can look like in the future," said Kurtis Blow, hip hop artist and co-founder of the Universal Hip Hop Museum. "Together with the Urban Arts Collective and Autodesk, we're giving a voice to communities who have previously been voiceless." Interested students are asked to submit a short essay as part of the application. For more on the camps, or to become involved, visit hiphoparchitecture.com. Autodesk, SketchBook for Education and Tinkercad are registered trademarks or trademarks of Autodesk, Inc., and/or its subsidiaries and/or affiliates in the USA and/or other countries. All other brand names, product names or trademarks belong to their respective holders. Autodesk reserves the right to alter product and services offerings, and specifications and pricing at any time without notice, and is not responsible for typographical or graphical errors that may appear in this document.